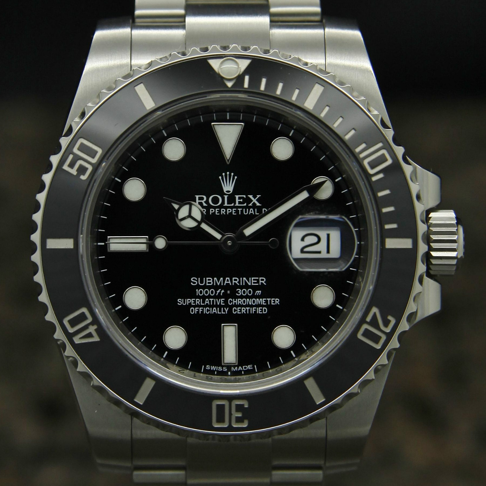 When discussing watches, it is important to know what you are talking about. Many times, you are discussing watches and using all of these big words, but have no idea what they mean! Two words that seem to get people tripped up are “chronograph” and “chronometer.” For new watch enthusiasts who have just been introduced to the world of horology, they are not aware of the difference between these two terms and most likely ask themselves “What is the difference between a chronometer and a chronograph?” However, there is no need to worry. Crown & Caliber is here to help! A “chronograph” is an instrument for recording time with great accuracy. A “chronometer” is an instrument for accurately measuring time. Same thing, right? Not exactly. Although these two words are related, they are not the same thing. A chronograph is a watch that has a built-in stopwatch feature, which allows it to measure elapsed time. This feature is referred to as a complication. Chronograph watches typically have two or three subdials that display the hours, minutes, and seconds. If a watch has a chronograph, it will usually feature a return to zero button, or pusher, on the side of the watchcase. The top pusher will start the chronograph, while the bottom pusher will stop the chronograph. 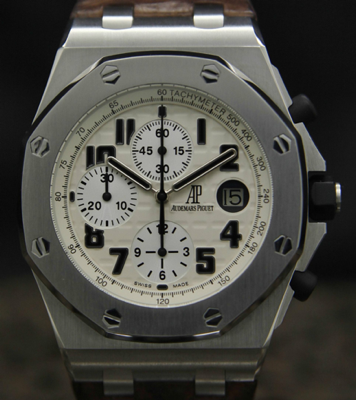 This Audemars Piguet Royal Oak Offshore has a chronograph complication. If a watch is referred to as a chronometer, it has passed intense precision tests over a 15-day period and has obtained an official rate certificate from the COSC, which is the Official Swiss Chronometer Testing Institute. These tests measure the movement of the watch towards a set of accuracy. In order to receive this certification, the watch must remain within +6 and -4 seconds per day. If a watch is referred to as a chronometer, it is a superior timekeeper and is very accurate. If a watch has received this achievement, it usually has “Chronometer” displayed on the dial. 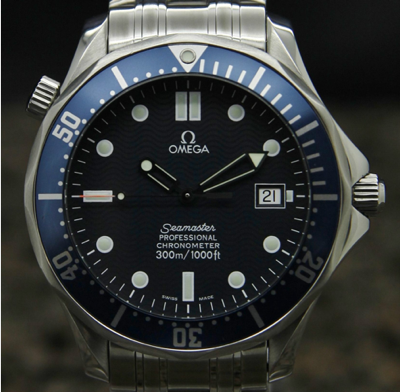 This OMEGA Seamaster is a Chronometer. A watch can be both a chronometer and have a chronograph function. However, they can also be separate. 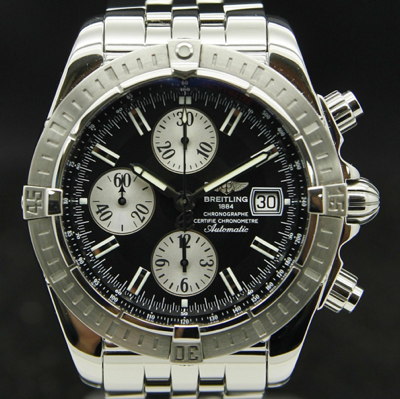 Just because a watch is a chronometer does not mean it has a chronograph and vice versa. This Breitling Windrider Chronomat Evolution is both a chronograph and chronometer. 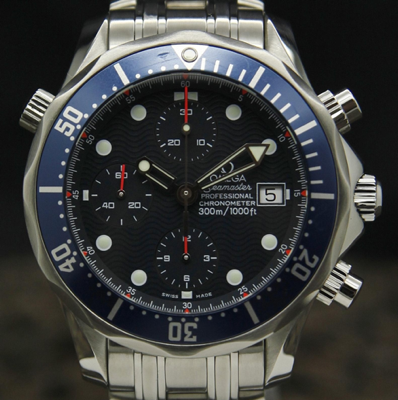 This OMEGA Seamaster is both a chronograph and chronometer. Now that you know the difference between the two terms, you can jump into the next watch conversation and know exactly what you are talking about! You no longer have to wonder what that term “Chronometer” on the front of your watch means!